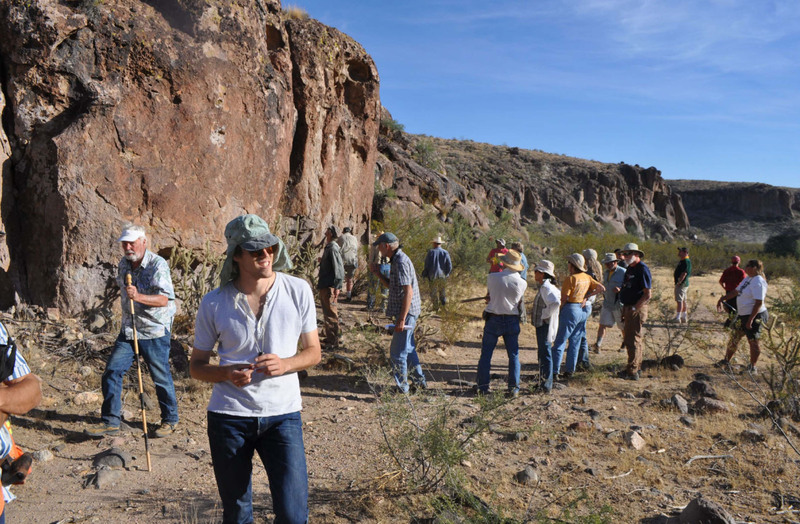 Field trip participants examine outcrops. 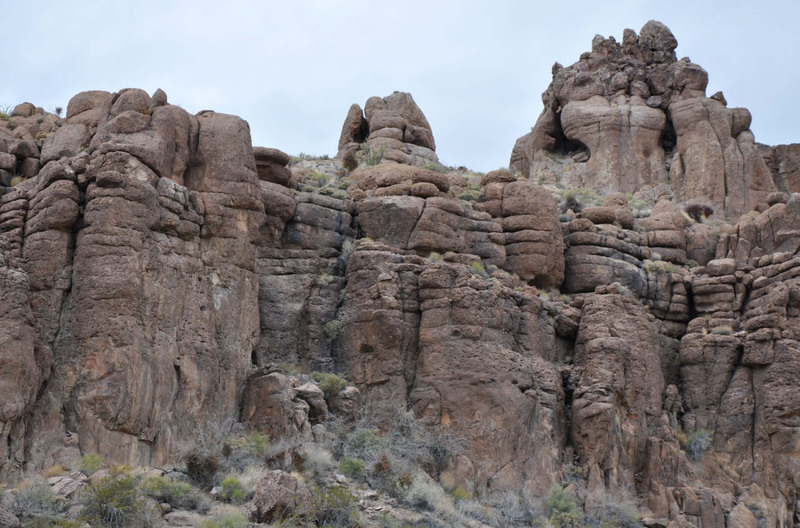 Geomorphic expression of the two main cliff-top transitions within typical Kingman, Arizona sections of the Peach Spring Tuff. 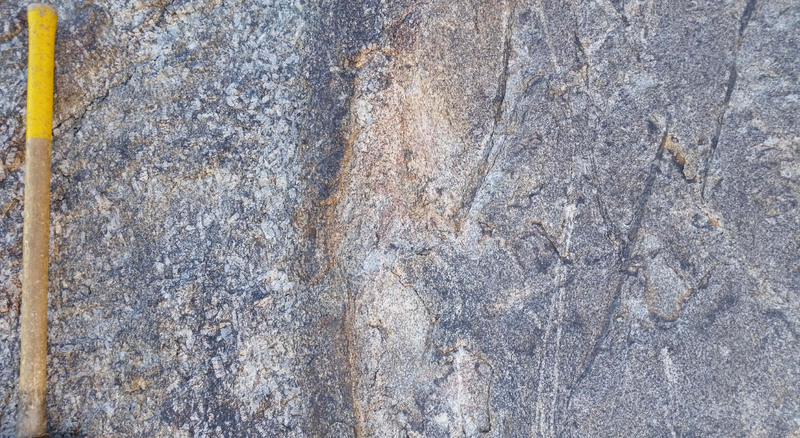 Intrusive contact between granite and banded gneiss at stop 2. View to the west from Sitgreaves Pass on old Route 66 a few miles east of Oatman, Arizona of the Silver Creek Caldera. Gold Road Mine in the middle ground and main components of the caldera-fill depicted in solid colors in the upper view: intracaldera Peach Spring Tuff, Times Granite and Moss Monzonite Porphyries.